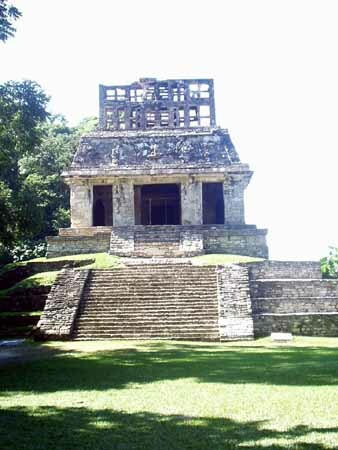 I arrive in Palenque about noon, which is not the best time to arrive at Palenque. 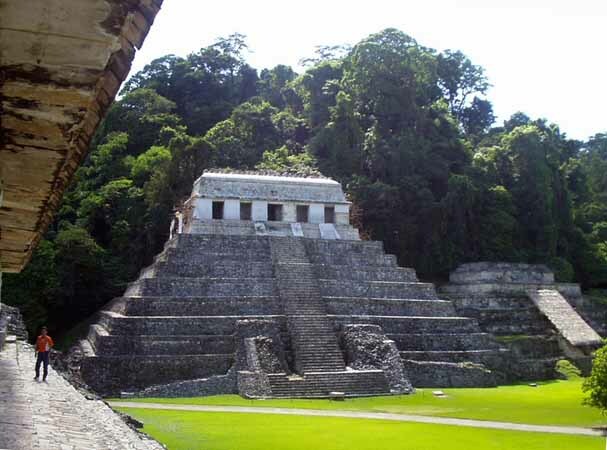 It was a sunny tropical day and very hot, and I worked up a good sweat walking around and up and down the steps of some large temples. 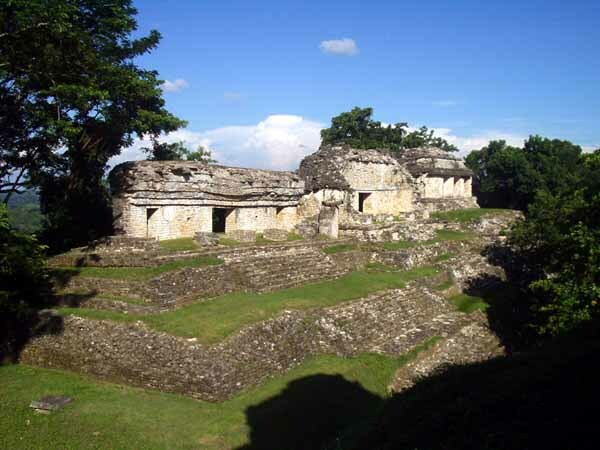 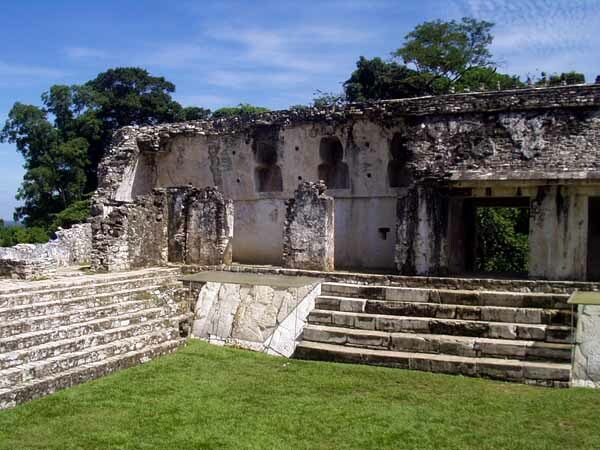 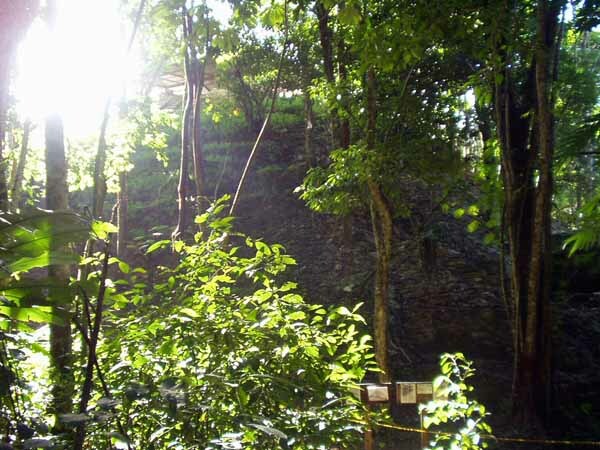 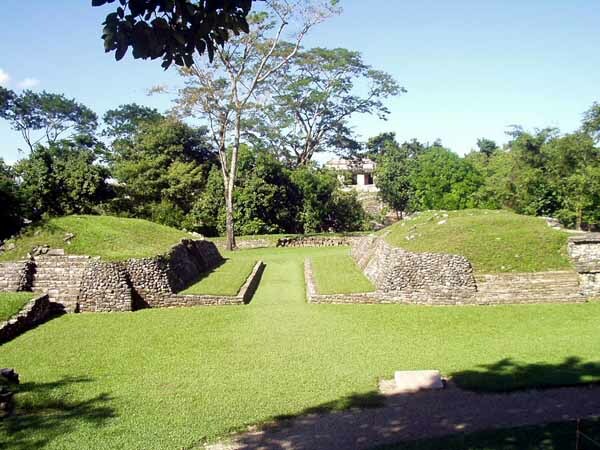 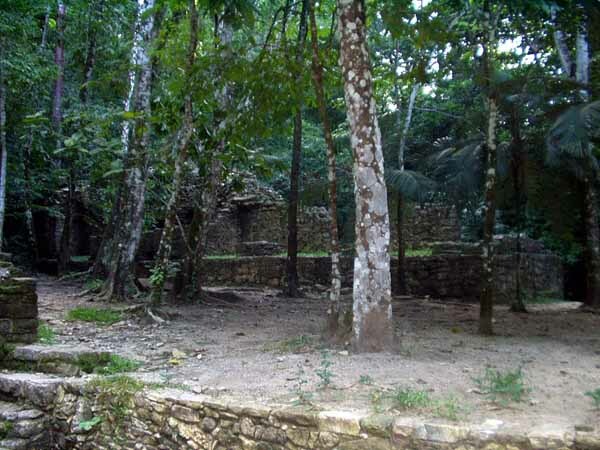 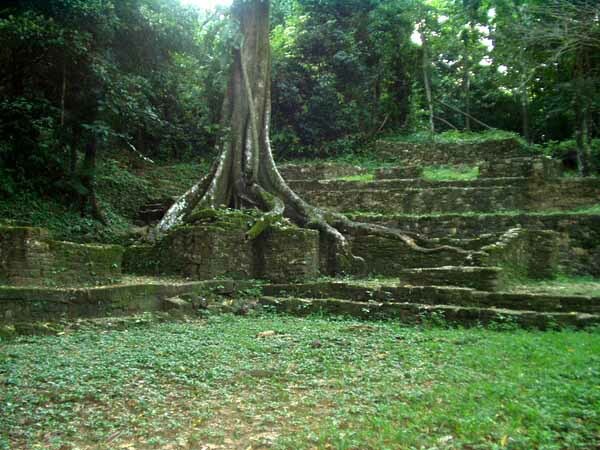 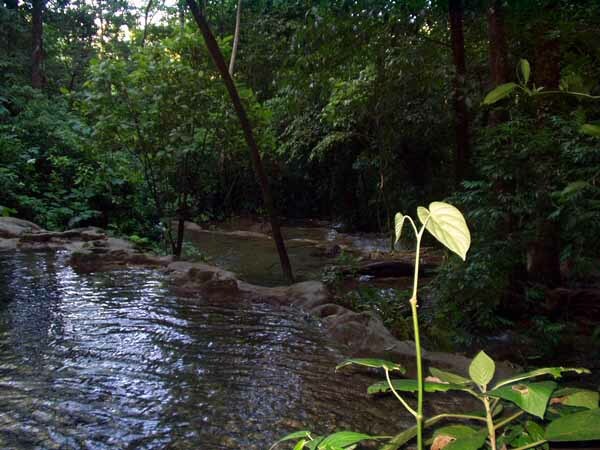 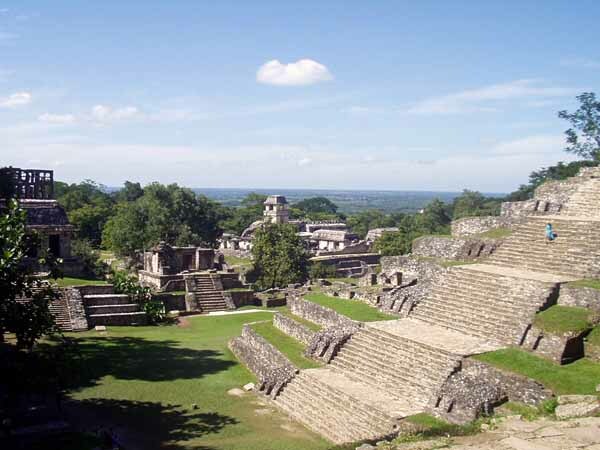 The way Palenque is maintained is impressive; while Tikal and Copan had just enough jungle cleared to make the ruins accessible, Palenque had large open areas cleared and maintained in a park-like setting, making it easier to appreciate the place as a former city. 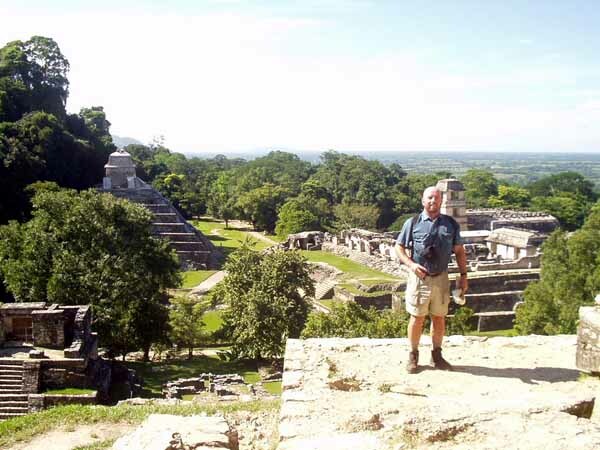 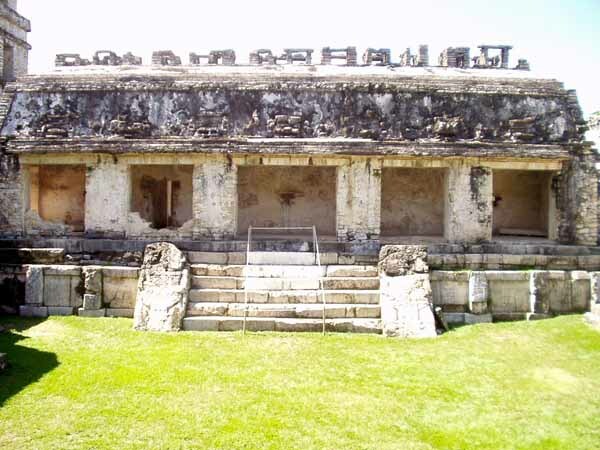 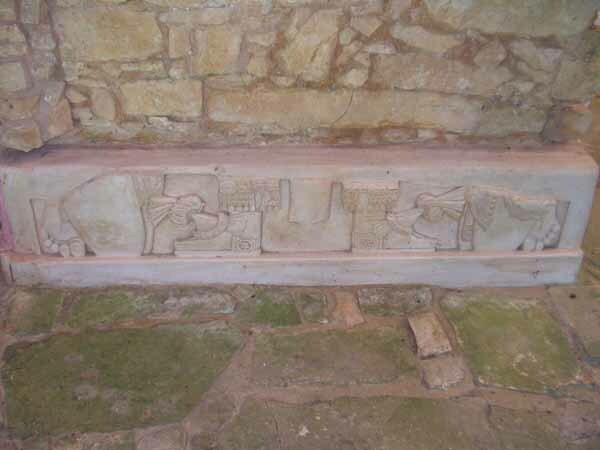 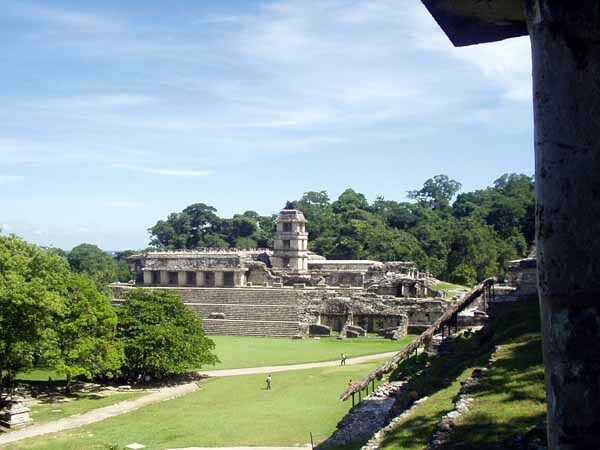 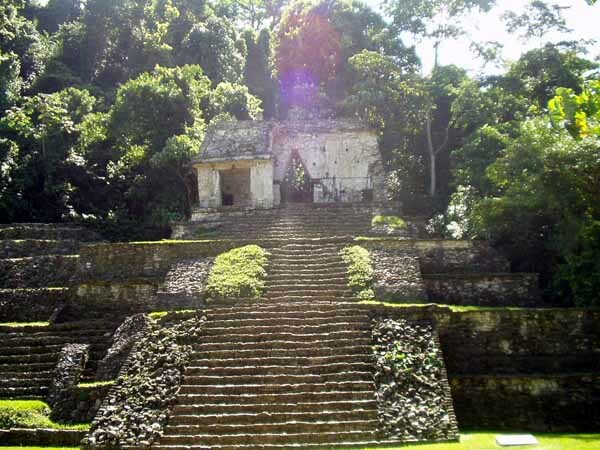 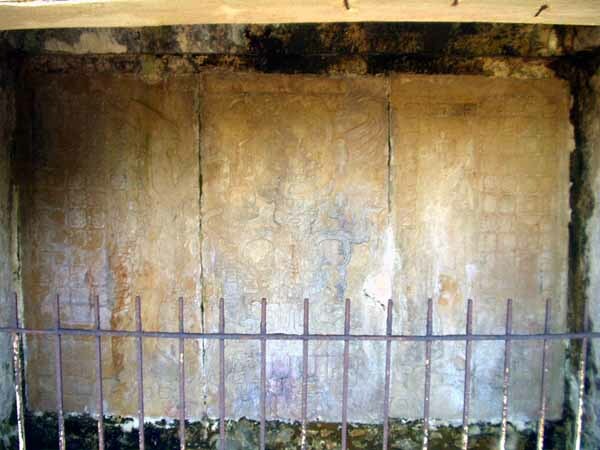 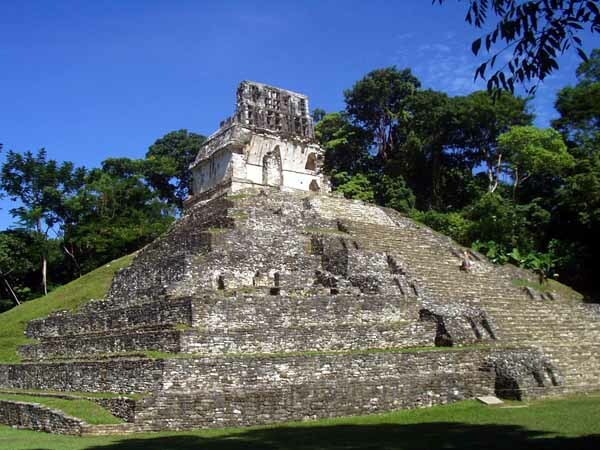 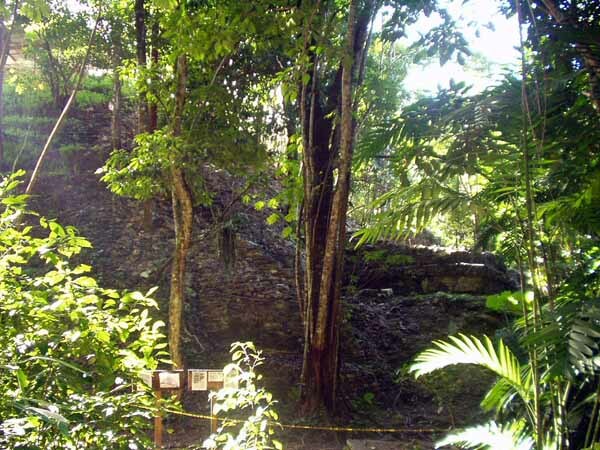 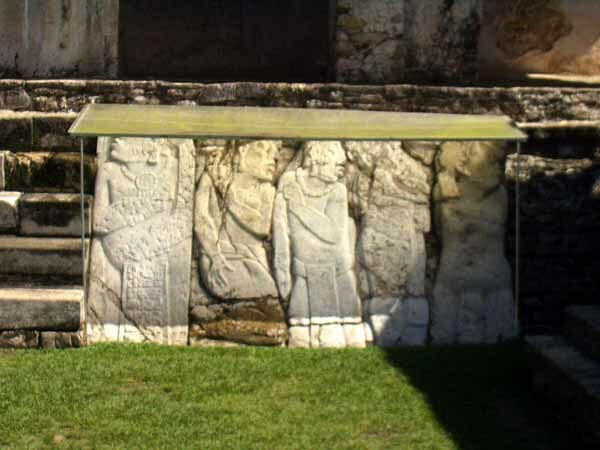 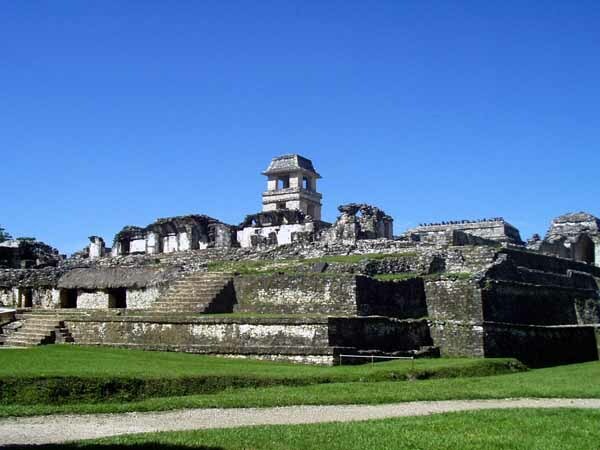 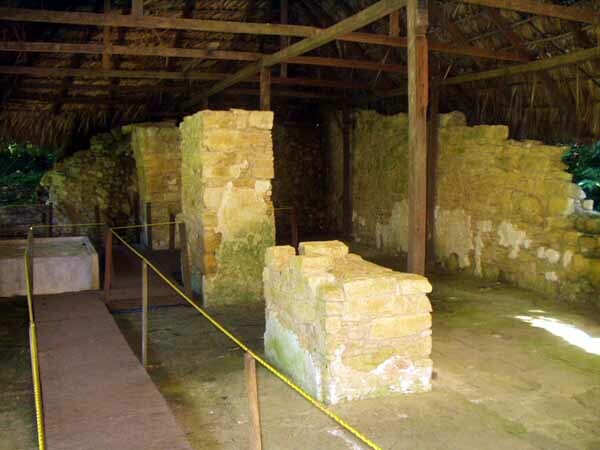 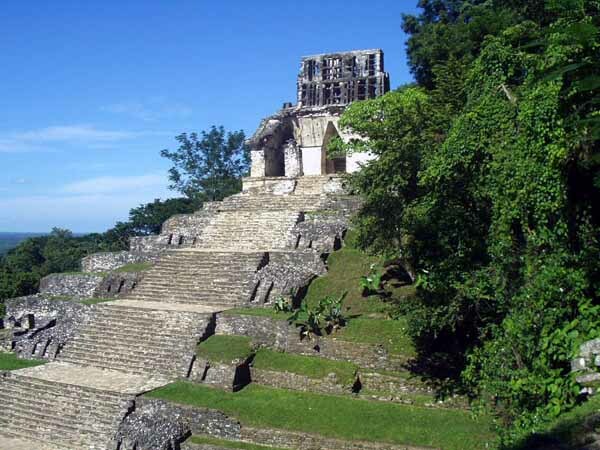 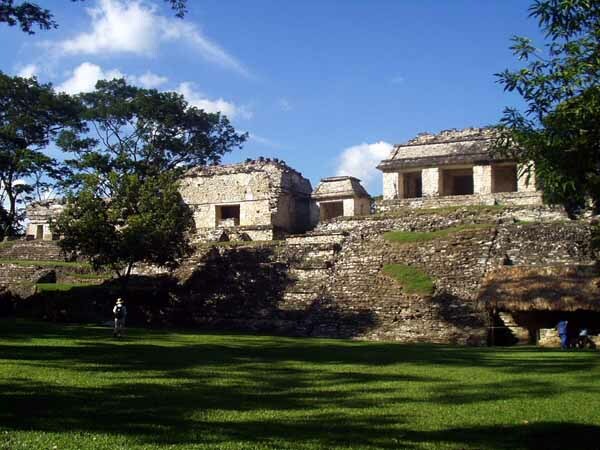 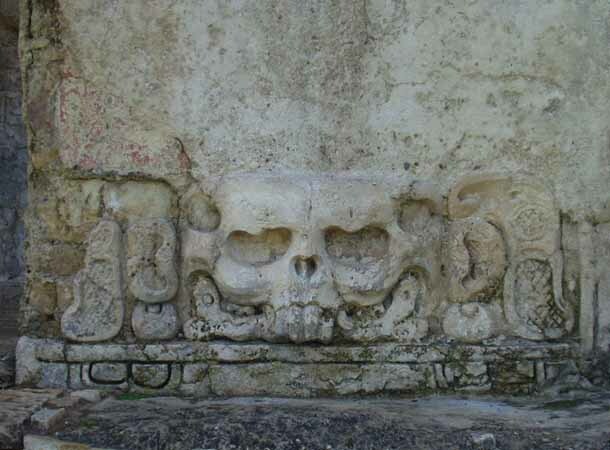 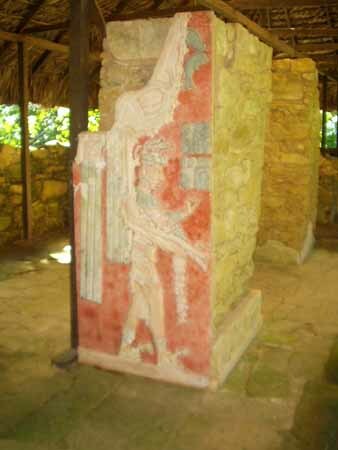 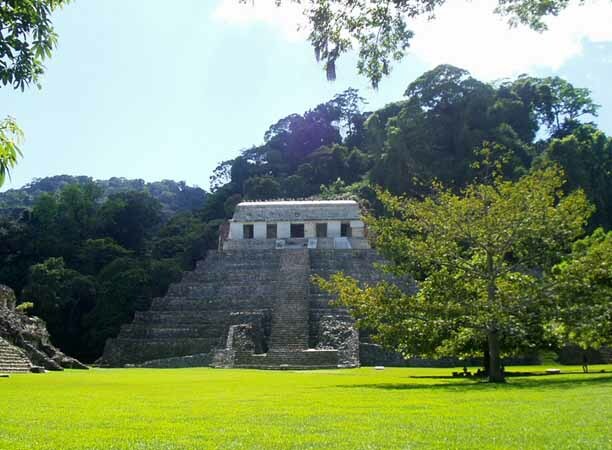 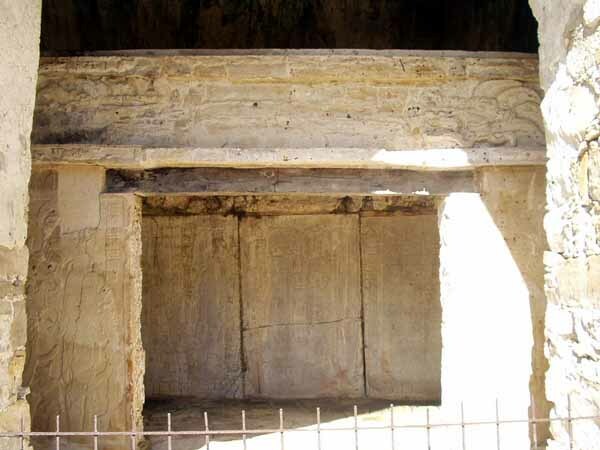 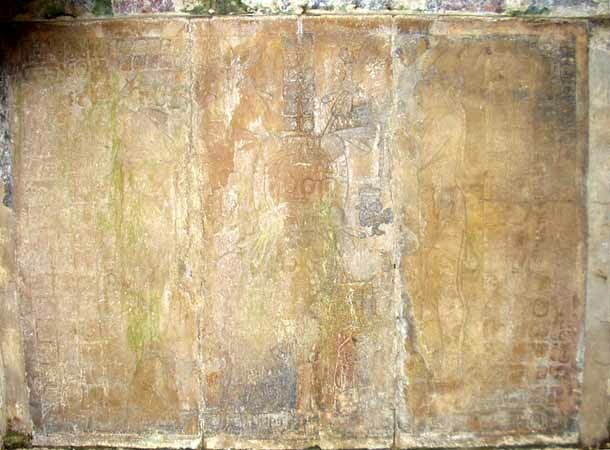 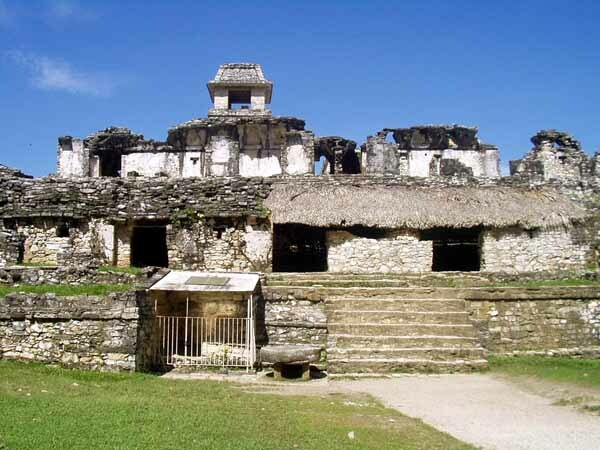 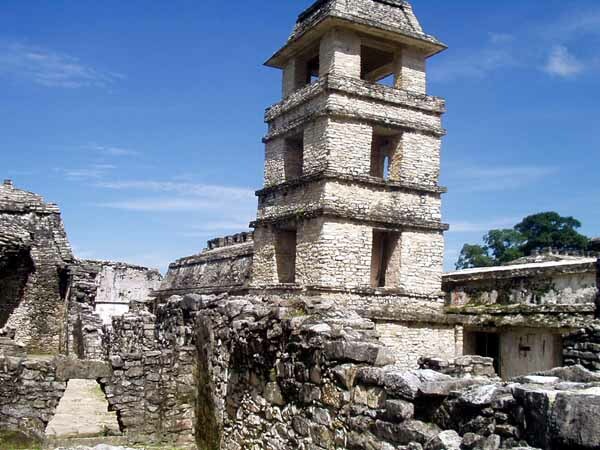 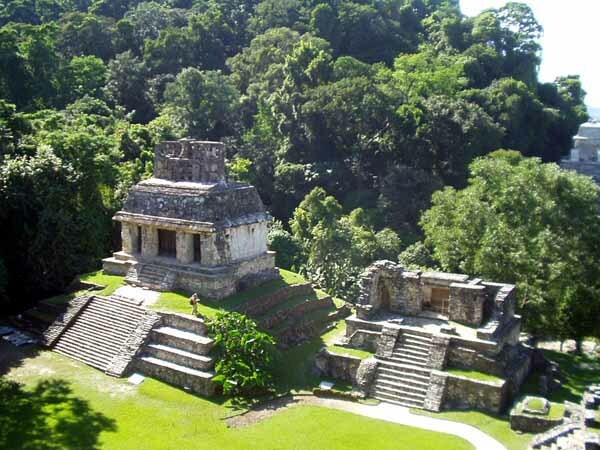 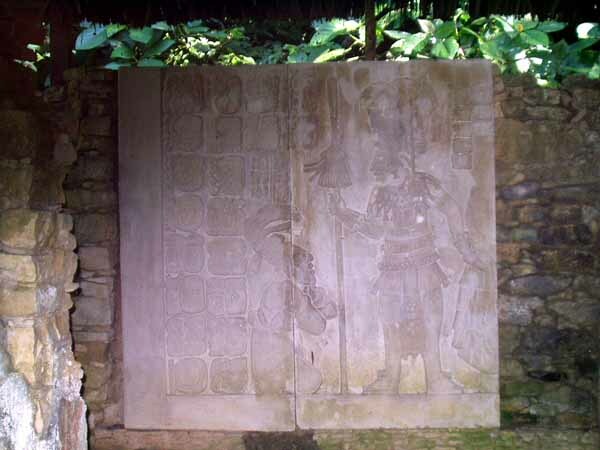 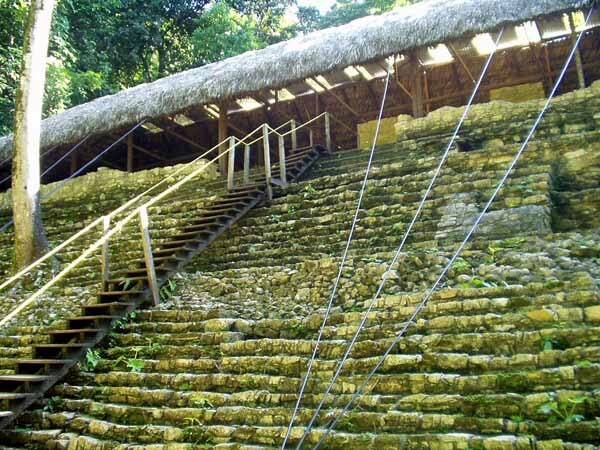 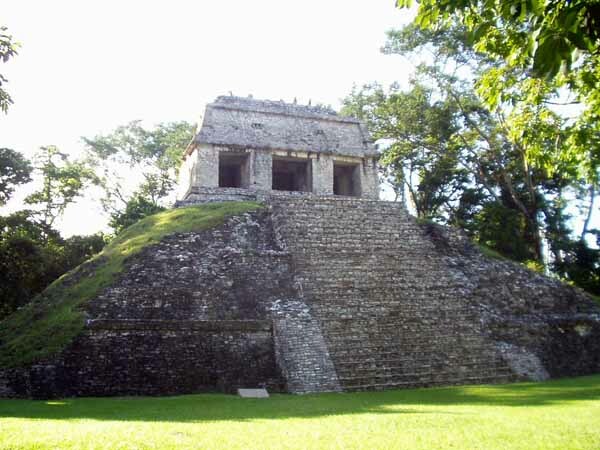 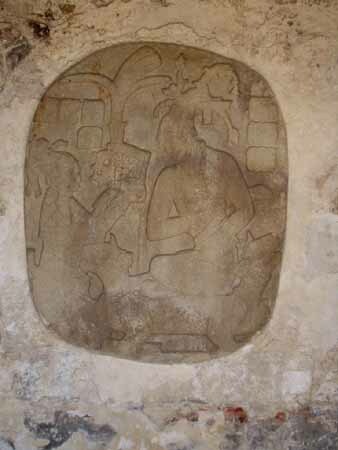 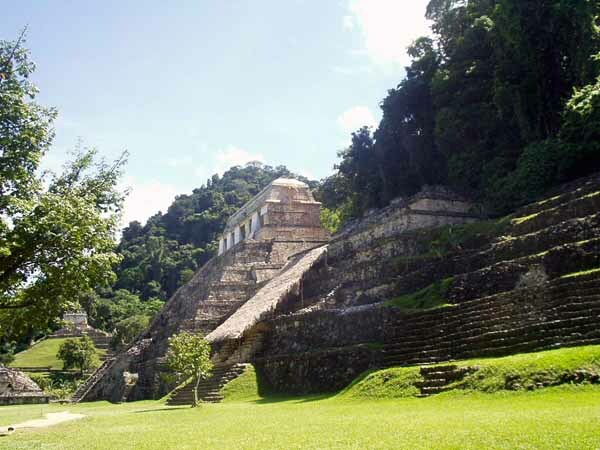 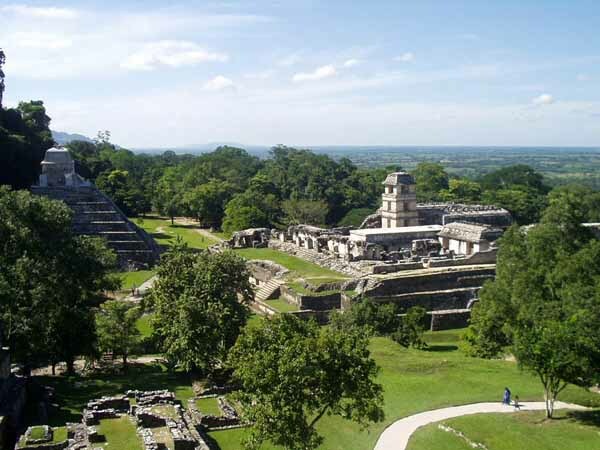 <>Palenque was first occupied around 100 BC and reached its peak around 600 to 700 AD. 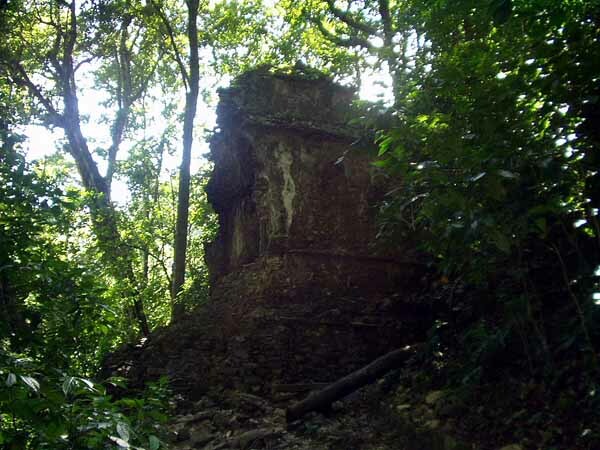 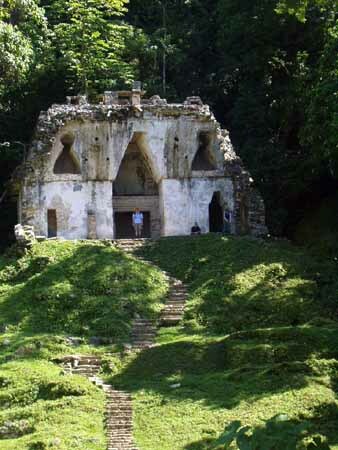 It went into rapid decline after a war with a rival Mayan city and was probably abandoned by 900 AD. 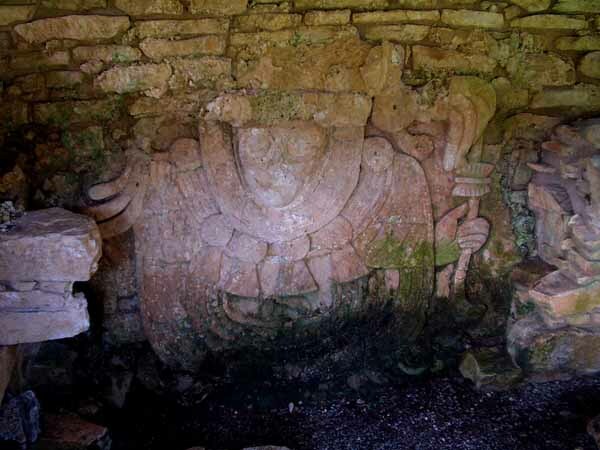 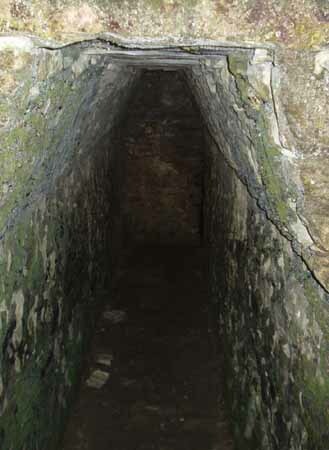 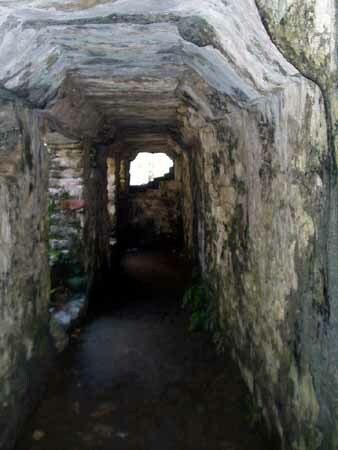 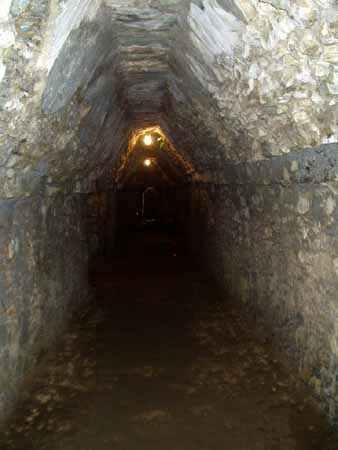 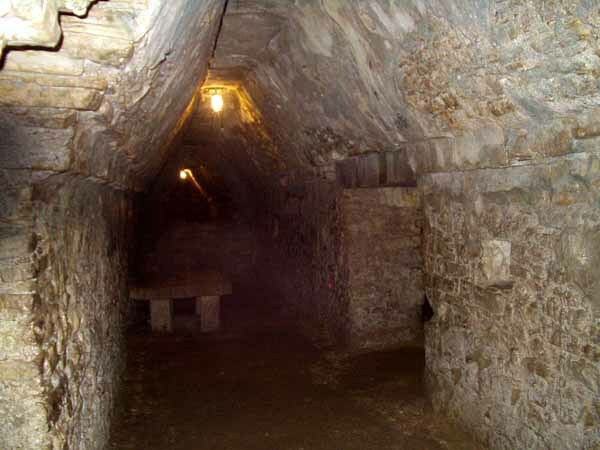 It was rediscovered in the late 18th century and explored and excavated in the 19th and 20th century. 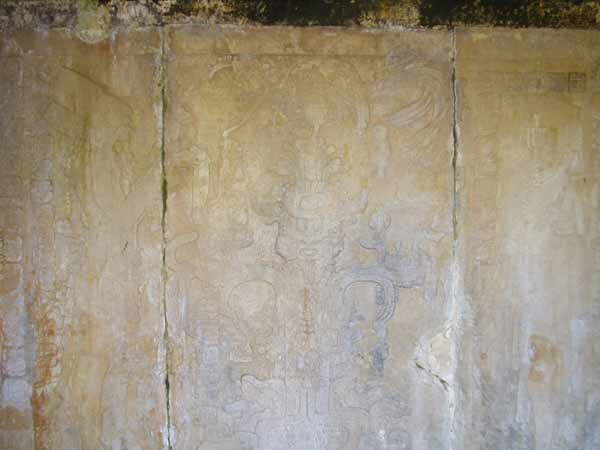 Many buildings and at least one tomb are still being excavated and restored. 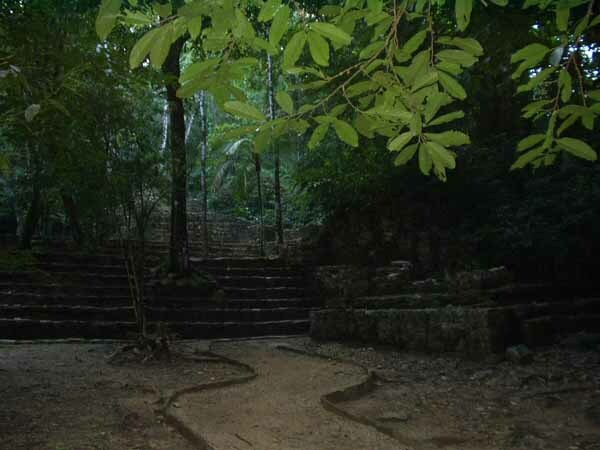 Late in the day I walked to the less restored buildings called Group C. The walk was mostly interesting for the setting. 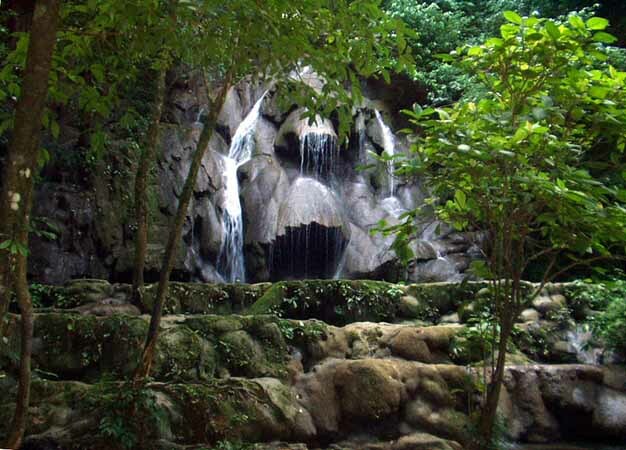 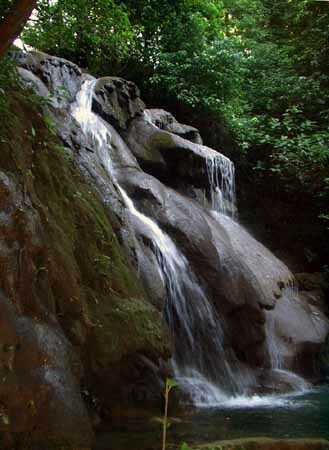 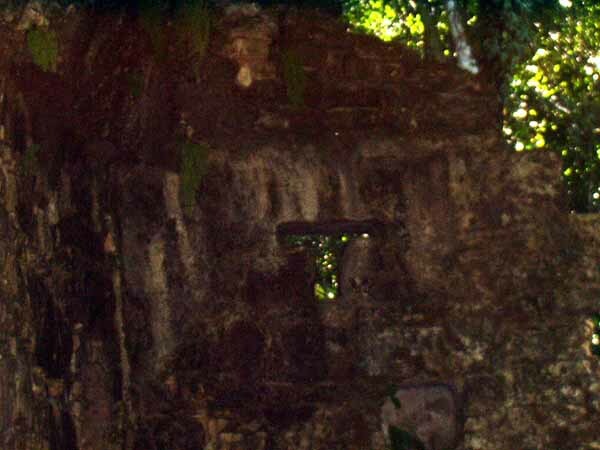 The waterfall was next to what looked like a large plaza or foundation.